It's Friday and I finally finished my first pair of knit socks! It only took me 5 months. 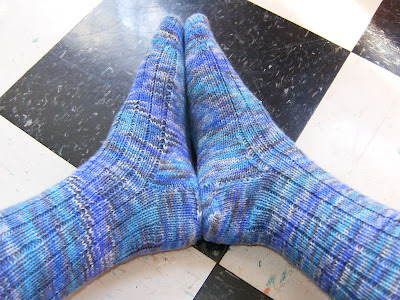 The pattern is Basic Ribbed Socks by Kate Atherly, available for free on Ravelry. 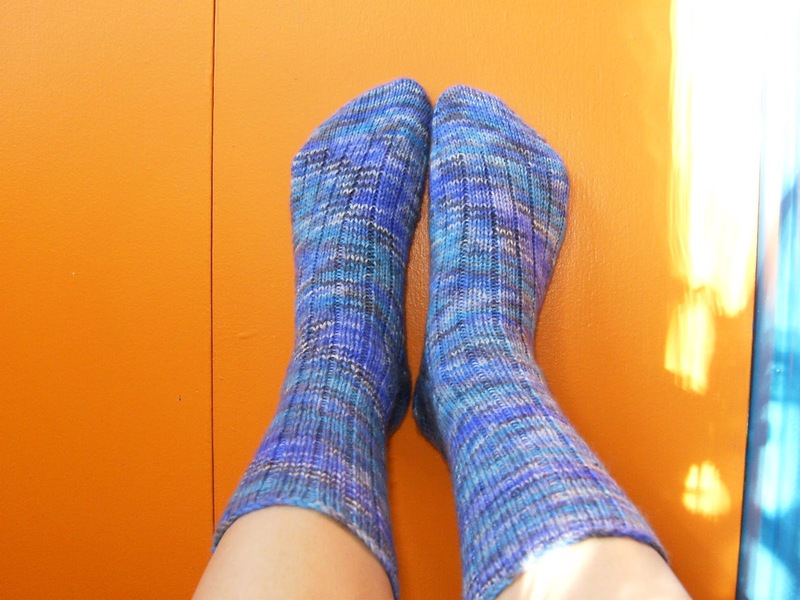 I did make a mistake in interpreting the pattern, and didn't notice until the second sock! In the photo below, the red arrow shows where the TEN rows of heel I left out deform the socks a bit. It doesn't affect their fit, and hopefully won't cause any uneven wear and tear due to extra tension. When the pattern said "repeat the last two rows ten times" I took that to mean "until there are ten rows" instead of what it actually meant, which is "for a total of 20 rows." I'll know for next time!